Seattle Family Law is a two-attorney team providing custody, divorce and other legal services with a continuous personal approach and attention to details. We provide hands-on counsel and support as you move through your custody case. 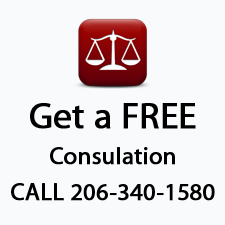 We offer hourly "unbundled" legal services so you can control your legal costs. You can "purchase" as many attorney hours as you need. We can help to prepare individual legal documents, provide you with legal strategy for your case , or even help you to prepare for court a hearing. For most people, custody dispute affecting family is among the most difficult experiences in life. Because you must nevertheless make important decisions you need counsel that does not brush aside the emotional context of your situation and simply make decisions "for" you. Rather, we work in partnership with you so that you can make informed decisions for yourself. We strive to understand all of your objectives in your custody case including the impact of your decisions on your family. Our goal is to help you select and carry out the most appropriate legal strategy at each step in the process. However, we do not forget that it is "your" case and thus your needs and desires that direct case strategy and action.